I don't know if this is a pro-Western Digital story or an anti-TiVo story, but I just learned that the companies are so cozy together, DVR expanders from Seagate or others are officially blocked. Am I pissed off? 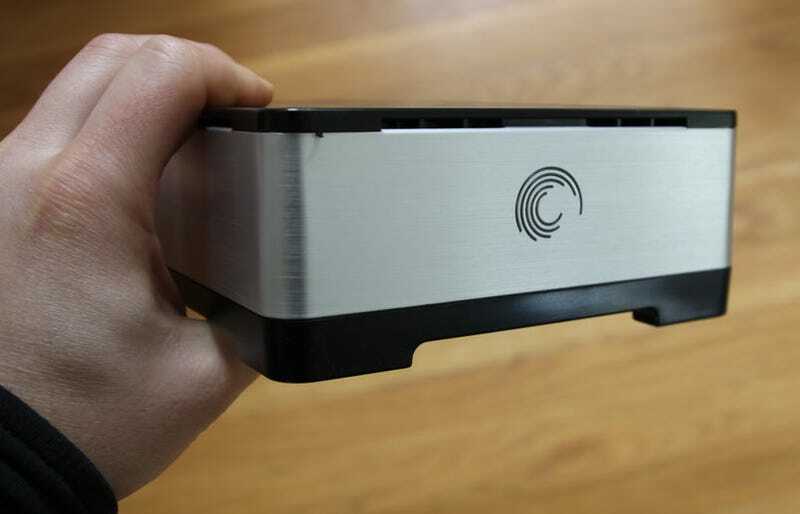 Yes, because Seagate just sent over this beautiful, whisper-quiet 1TB eSATA drive that's compatible with quite a few cable-co DVRs. Well, I don't want to test it with my crappy Motorola DVR, I want to test it with my TiVo HD, which, with a tiny built-in 160GB drive, is in dire need of extra space. I guess you could say I'm mad because I love TiVo. Oh TiVo, why did you have to go and complicate our beautiful relationship? Western Digital has gone through our testing and certification process. We know it will work 100% of the time, something we cannot guarantee with other expanders. The class of Western Digital drive in the DVR expander is designed specifically for 24/7 use in a CE device. It is optimized for constant read/write cycles and is designed to last much longer when used in a DVR application. Un-optimized or unknown drives add risk to system stability and would reduce expected lifetime. I have to say, this logic only works when we're talking about drives intended for something other than DVRs, or drives from companies that do not have a reputation as a great hard drive maker, as Seagate does. The question is, why did TiVo stop testing CE eSATA drives after falling in love with WD's? I can only think of two reasons, sheer laziness or cash money dolla dolla bills, and of course, I'm not going to get a confirmation of either. I have absolutely nothing against WD (even though that one did fail in my TiVo back in 2008). I like a lot of their products. I just can't believe that there's any merit to this exclusive partnership. When I buy an electronic toothbrush from Braun or Philips, am I restricted to using a particular kind of toothpaste? No. The understanding is that I will use toothpaste, but not what kind. Ditto here. There's an eSATA port, so the understanding is that I will use it. But, within reason, the brand choice should be up to me.